This may look like an Apple pie — and it sure tasted like one — but no apples were harmed in the making. Mock Apple Pie, as it’s traditionally called, dates back to at least the 1850s and is a great example of how expectations play into our perceptions. Mock apple pie relies on cream of tartar for the acidic kick normally provided by malic acid in apples. Crackers are soaked in sugar syrup for sweetness and texture (cooked apples and soggy crackers have similar texture). 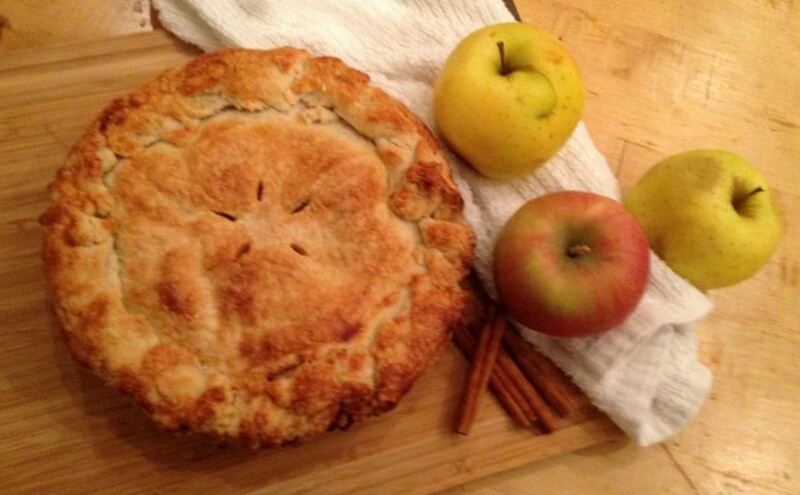 Lemon juice, vanilla, cinnamon, and nutmeg add enough of the flavors we associate with apple pie to fool an eater. For more, see this Newsweek article that I’m feature in. For a recipe, check out page 96 of the second edition of Cooking for Geeks [pdf]. Let me know if you make it, and how it goes when foisting off on unsuspecting guests! Previous Previous post: Beer Mile: Four Beers, Four Laps—Why?! Next Next post: Can You Cook an Egg in the Dishwasher?